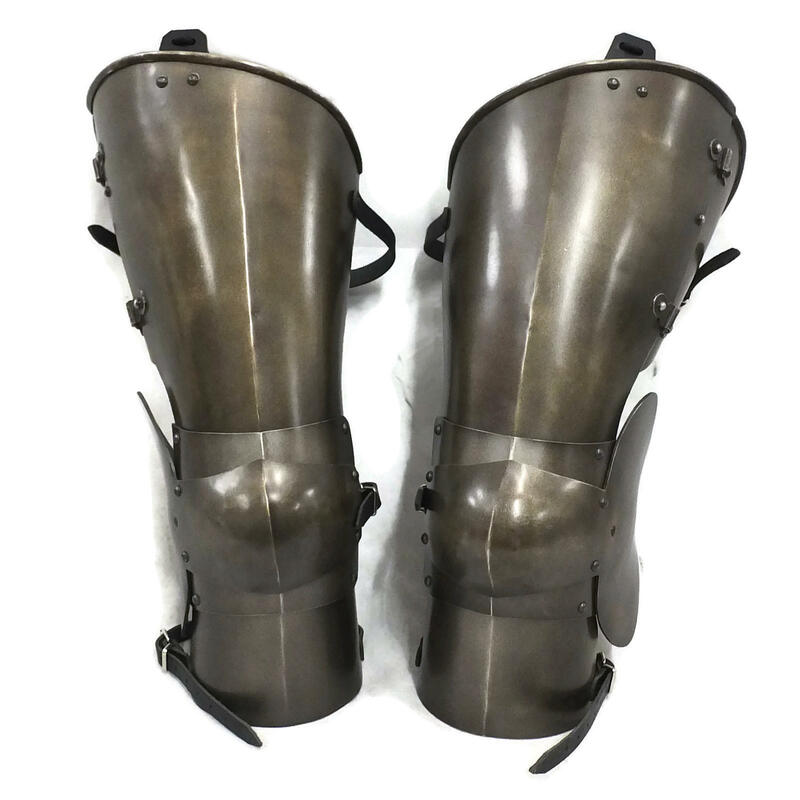 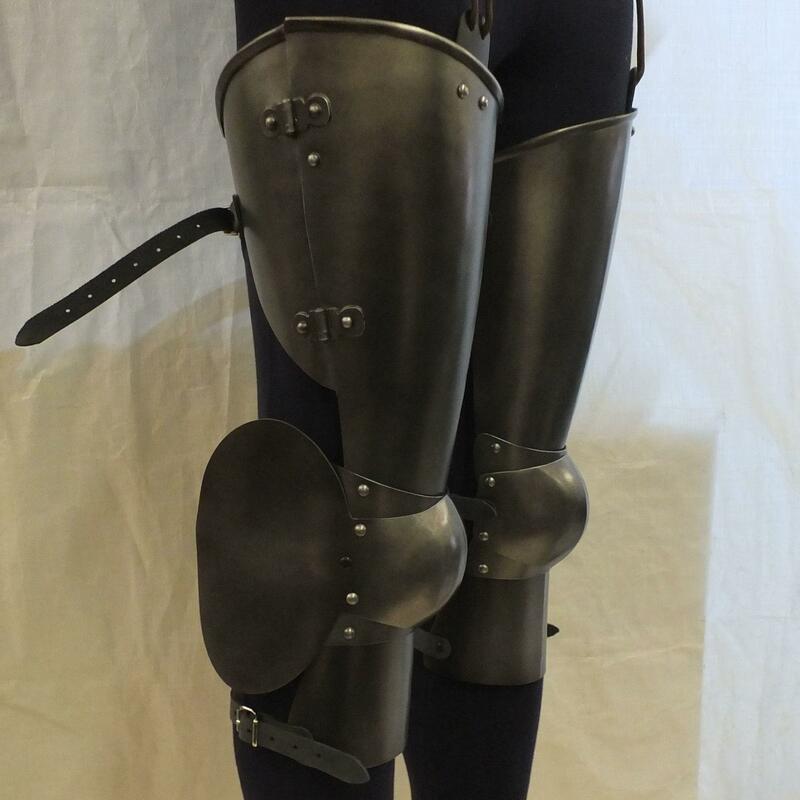 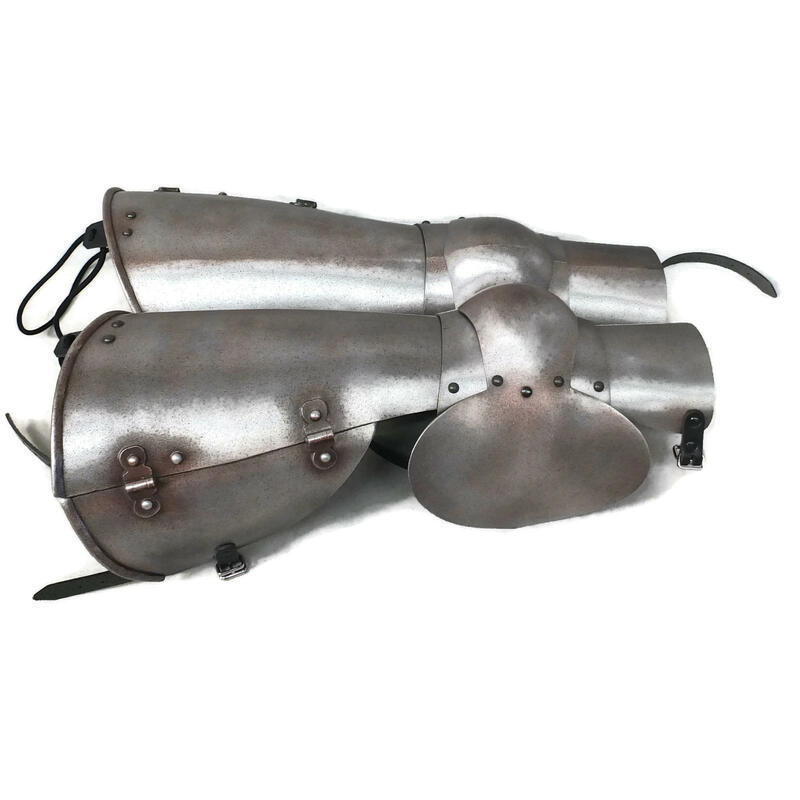 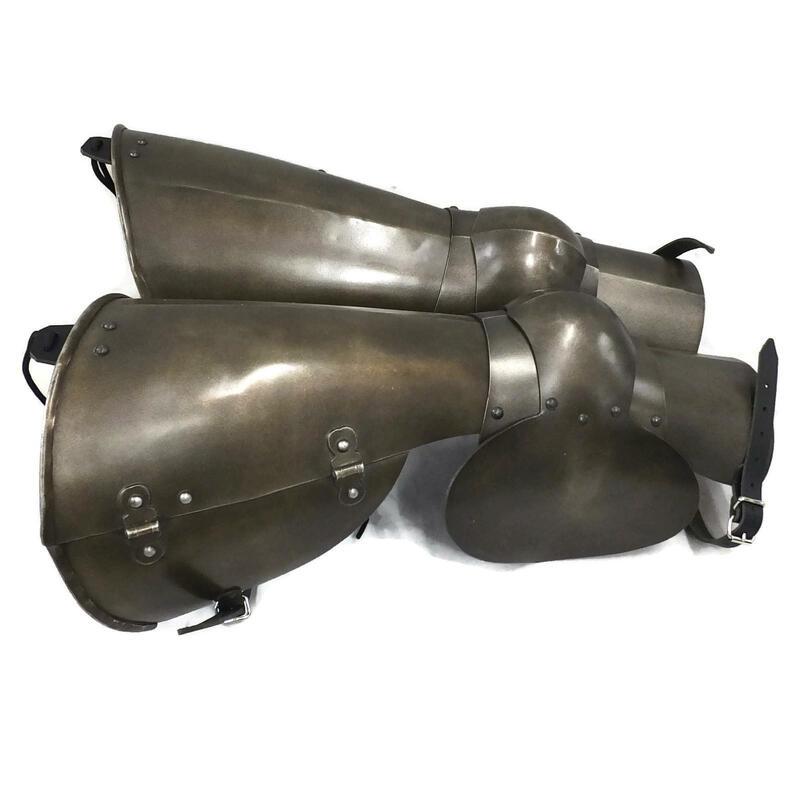 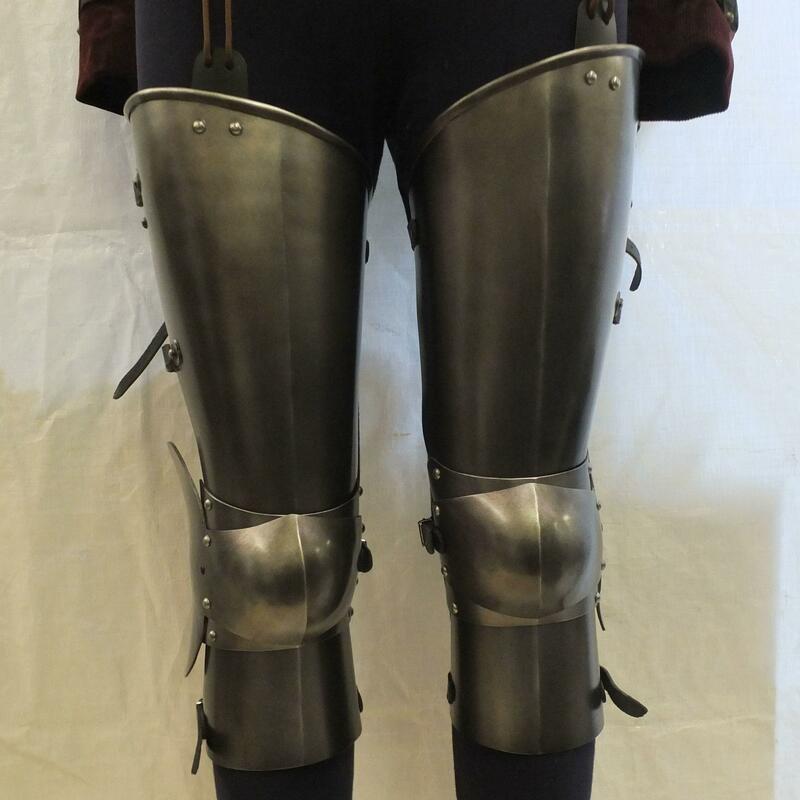 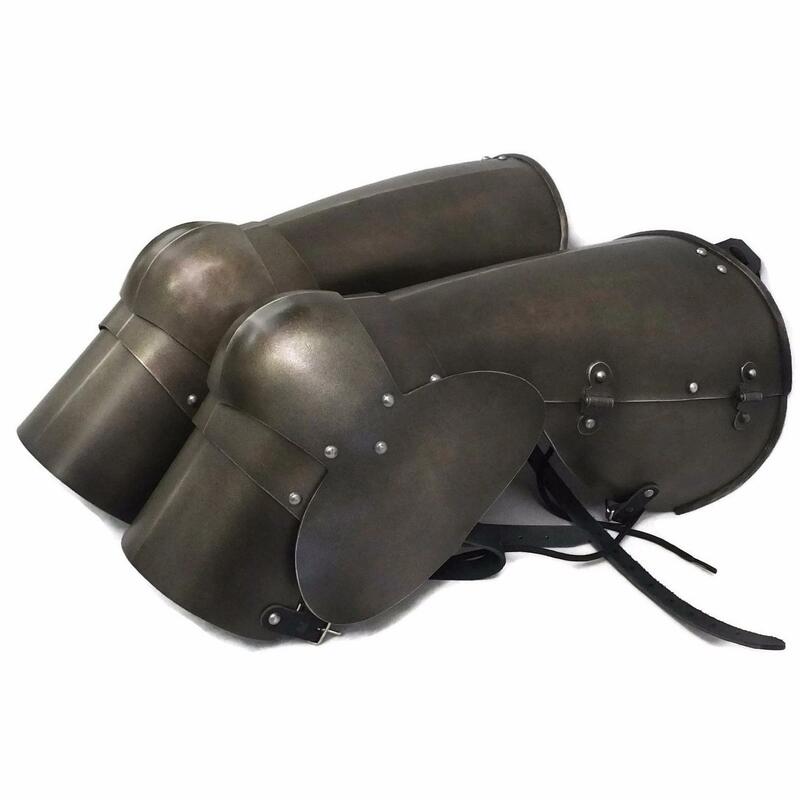 Set of 5 plate articulated upper leg armour (Cuisses). 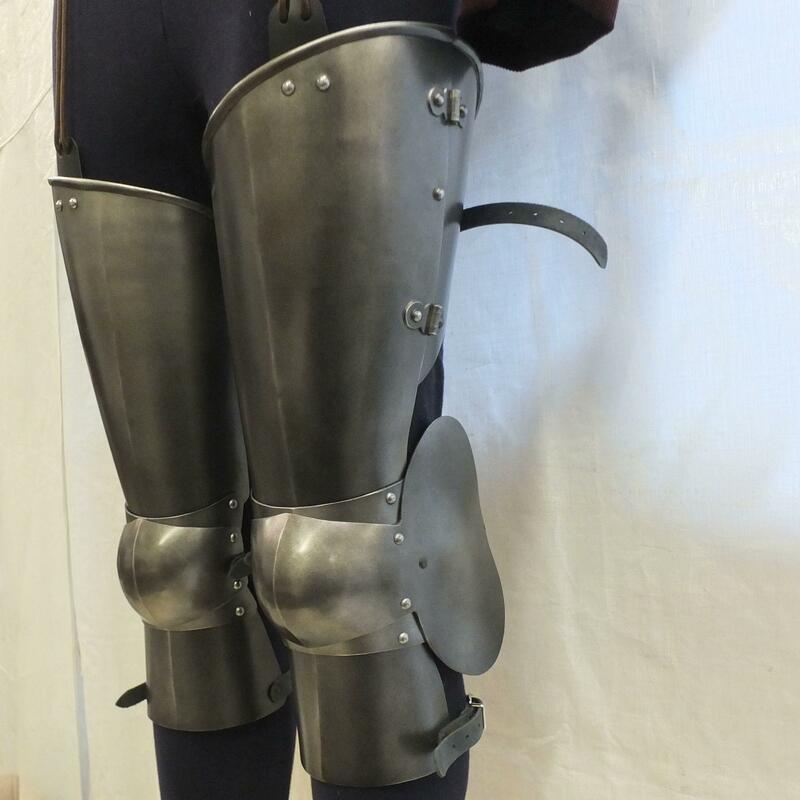 With fixed side hinge detail. 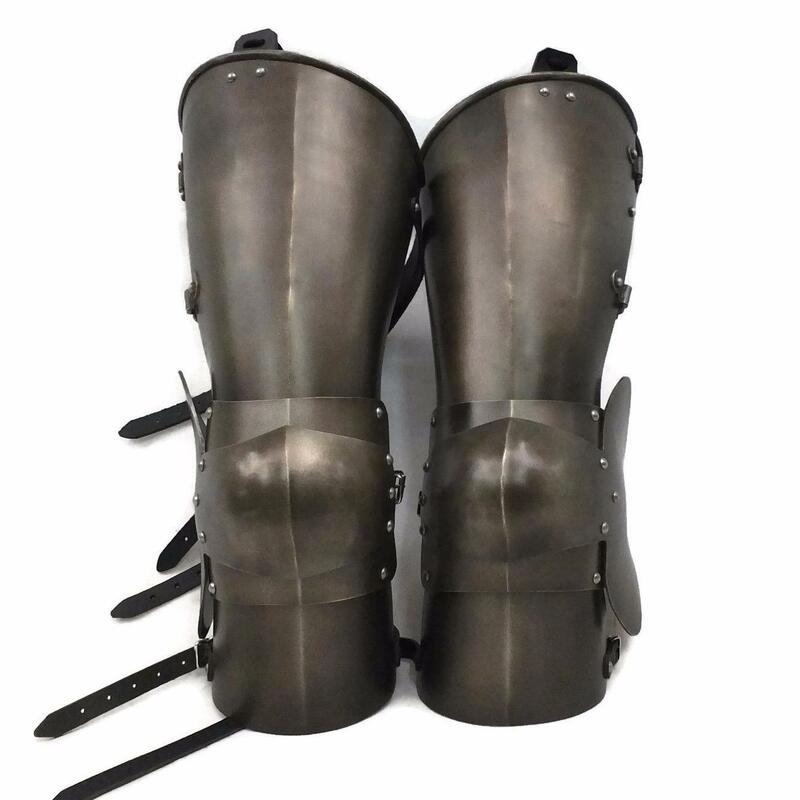 Complete with top lacing tab, leather straps on the upper leg and behind the knee (non-leather option available).